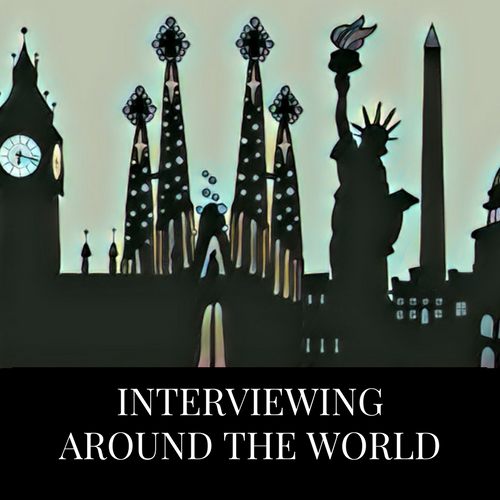 Interview Tips Around the World | Challenger, Gray & Christmas, Inc.
Job interviews are one of the most important aspects of the job search, and performing well is key to landing the next position. However, seeking employment in a different country or culture adds a new dimension to an already stressful process, according to one workplace authority. “There are universal best practices for performing in an interview, such as arriving on time and dressing professionally. It is important for job seekers to research the companies for which they are interviewing, and possibly the interviewers themselves. However, when interviewing in a country or culture different from their native one, job seekers must also thoroughly research local customs before their interviews,” said Andrew Challenger, Vice President of global outplacement and executive coaching firm Challenger, Gray & Christmas, Inc. Listen, listen, and listen some more. Respond to the questions asked and establish a rapport with the interviewer, but let them take the lead. Ask appropriate questions. The interviewer wants to know you have researched the company and have interest in the role. Do not ask about pay. Rather, ask about specific responsibilities and corporate culture. Keep any essential questions about the company in general terms. Don’t put the interviewer on the spot by asking a question he or she may not be able or may not wish to answer. Think over a question before answering it. Take time to formulate an appropriate response, one that sells your experience, skills, talents, and abilities while at the same time continues to build on the rapport you established with your interviewer(s). Tell the truth. Answer fully and completely, but don’t volunteer any detrimental facts. “One of the easiest ways to prepare for an interview in a different country or culture is to read up on it, whether from a book or online. A couple of helpful books are The Culture Map: Breaking Through the Invisible Boundaries of Global Business by Erin Meyer and Kiss, Bow, or Shake Hands by Terri Morrison, Wayne A. Conaway, and George A. Borden,” offered Challenger. “Most interviews come down to enthusiasm for the company and role and how well you fit in with the culture of the company,” said Challenger. Because some resources do not actually focus on specific interviewing techniques and situations, it may be helpful to talk to locals about the way interviews are conducted in their areas. Some preparations may include dress and appearance, formality, the atmosphere and pace of the interview, the role of the candidate, the value of certain credentials, etc. As one should in their own country, be sure to do research on the company offering the employment opportunity. Beyond basic company background, other information should be gathered, such as: Who will be interviewing you (HR department? Manager?)? Are there specific functions or protocols that must be followed when conducting interviews? Are there multi-phased interview processes that may last longer? Does the company hire a significant number of foreign workers? These questions, along with research on company structure and operations, will allow for a more successful interview process. Finnish employers respect loyalty, honesty, and modesty. Conscientiousness and preciseness is valued in an interview context. Sometimes, bringing oneself out is interpreted as bragging, so you must find the right balance when telling employers why they should choose you for the job. Anytime you want to say something about your strengths, add an example where you’ve used them. Exceptions are sales positions, where you are expected to sell yourself for the job, but even then, you should offer coherent arguments. Employers often put a lot of emphasis on earlier experience and knowledge of the field. Also, motivation and engagement are relevant subjects for interviewers. There are many qualified and experienced interviewers in Finland, but also those who have not done much interviewing at all and do not know how to prepare themselves for it. Nevertheless, you should be prepared and collect as much information about the company as possible. There’s usually two or three interviews with different people: the Recruiting Manager, HR Manager, possibly the CEO, and in some cases, the Recruitment Consultant. Sometimes, you will also be asked to take part in an assessment, which is usually one day long and contains psychological tests, more interviews, and occasionally, group work. Interviewers often start with open-ended statements, such as: Tell us something about yourself. Common questions are: What are your strengths and weaknesses? Why are you interested in this job? What do you want to do in five years’ time? What are your greatest achievements so far? When have you failed in your job? Be prepared and go through these questions in advance to formulate good answers for them. Interviewers are not allowed to ask anything that’s not related to work, such as marital status, children, or political views. Nevertheless, people are often glad to talk about their personal lives and interviewers sometimes give them a chance to do so. But do not overdo it – you will be selected because of your experience or potential, not because you’ve got an interesting hobby. The ‘interview’ starts as soon as you walk through the door. As such, be polite and punctual. Some hiring managers ask reception staff how you interacted with them to ensure that you remain professional and courteous throughout the interview process. This extends to all individuals – many UK workplaces aren’t particularly hierarchical and relatively junior employees will be asked what impression the candidate made on them – make sure it’s a good one. In the UK, interviews are often split into two parts. The first: “Can this person do the job?” is a discussion about skills and capabilities drawn from past experience and work history. The second: “Will this person ‘fit in’?” is a more informal discussion, often with other company employees, that reviews the candidate’s character and likelihood of working well with existing employees. In some cases, some form of psychometric reporting may be used during the interview. Ask appropriate questions – an individual interviewing for a role in the UK might be ‘marked down’ if he or she had too few questions. The interview is not an interrogation. However, the candidate should do enough valid research on an organization to have some interesting questions for the interviewer, both about the role and the organization. When interviewing in Canada, preparation is key. Know about the organization you are interviewing with. Research any press releases, annual reports, news articles, etc. that relate to the company. Those who show up prepared quickly differentiate themselves from those who do not. Don’t start with your agenda – everyone wants to display their best attributes in an interview, but if you’ve prepared a script or if you have an agenda of displaying all your strengths in that first conversation, you risk not answering the questions that the interviewer asks. Once again, be prepared, but wait for the question. Be succinct and use examples – when being asked a question about how you would tackle a specific situation, succinctly share your approach and follow up with an example that demonstrates how you put your approach into action. Do ask questions – an interview is a two-way street, and a well-informed candidate will have a longer tenure and be happier in their role. Understand KPIs in your first year of employment, as well as organizational challenges, risks, and opportunities. We often suggest that clients pay attention to the questions that candidates ask because they can provide insight into motivation, curiosity, and sophistication. Know your leadership style or brand – be prepared to articulate your philosophy on leadership. If possible, offer feedback received from 360-degree reviews. Be self-aware – no one is perfect, has never made a mistake, or is without a leadership blind spot. No interviewer wants you to be perfect, they want you to be self-aware and seeking to continuously improve. Be kind and friendly to gatekeepers – if you are unkind to reception staff, it will often be relayed to decision makers. Typically, Japanese interviews have multiple stages and are group-oriented. For long-term positions, companies may use a private investigator. Private investigations are routine in Japan when considering any kind of long-term partnership (from marriage to working together). During the interview, there will be plenty of personal questions ranging from age, to marital status, to future goals and career aspirations. These questions are expected to be answered simply and clearly. A job interview is considered to be a serious affair, and therefore any kind of humor or joking is avoided. What is appreciated is sincerity and demonstrations of willingness to work hard and be a team player. Typical questions include: How well do you get along with others? Would you be willing to work weekends during busy times to satisfy customer needs? Are you flexible and other-centered or rigid and individualistic? It is important to remember that one’s character and fit within the company are often more important than credentials. It is also important to note that character will be judged in subtle ways throughout the interview. For instance, it is important to have neat and conservative attire for the interview. You should always accept any refreshments provided. Also, interviewers may look for good posture, even if you are in a room alone. It is viewed as unacceptable to interrupt the interviewer or show any impoliteness. Do not ask too many questions about the specific role or the responsibilities included. When asked personal questions, such as marital status or age, or when the interviewer goes over your resume point by point, do not show any impatience and do not make clear any personal opinions, especially political. The interview in Japan is all about respect for the interviewer, potential colleagues, and the organization.